Still the Enemy Within is a unique insight into one of history’s most dramatic events: the 1984-85 British Miners’ Strike. No experts. No politicians. Thirty years on, this is the raw first-hand experience of those who lived through the UK’s longest strike. Follow the highs and lows of that life-changing year. Against all the forces the government could throw at them, 160 000 coal miners took up the fight and became part of a battle that would change the course of history. 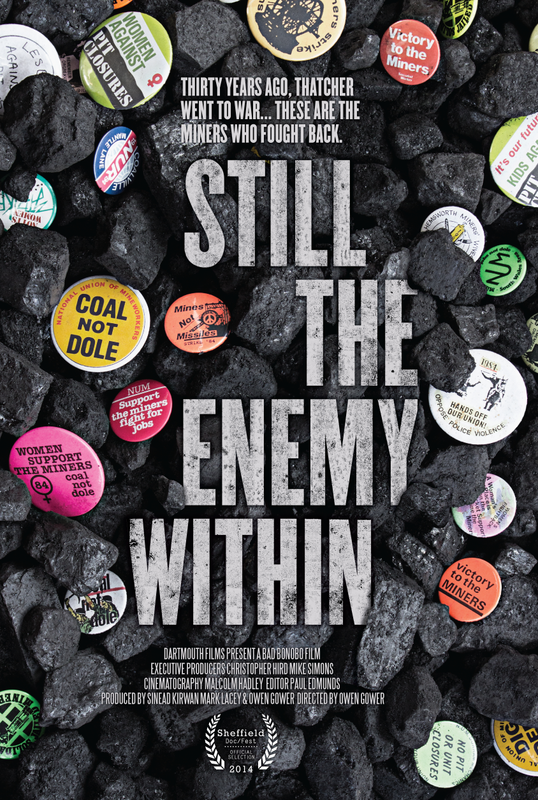 Still the Enemy Within tells the story of a group of miners and supporters who were on the frontline of the strike for an entire year. These were the people Margaret Thatcher labelled ‘the Enemy Within’. Many of them have never spoken on camera before. Using interviews and a wealth of rare and never before seen archive, Still the Enemy Within draws together personal experiences – whether they’re tragic, funny or terrifying – to take the audience on an emotionally powerful journey through the dramatic events of that year. They along with a range of fascinating characters who fought alongside them, give a frank, emotional and ultimately inspiring account of ordinary people at the centre of extraordinary events. From the infamous Battle of Orgreave, where miners found themselves in a brutal confrontation with over five thousand police, to the hardship endured after almost a year on strike – their story is not just one of personal drama but one that shaped the world we live in today. ‘Still the Enemy Within’ is ultimately a universal tale of ordinary people standing up for what they believe in. It challenges us to look again at our past so that in the words of one miner, “we can still seek to do something about the future”.